By now everybody and anybody knows that smoking is deadly. The use of nicotine products has been proven, irrefutably, to cause tremendous health problems for those who indulge in them, and that smoking cigarettes can certainly result in an untimely, and very uncomfortable, death. 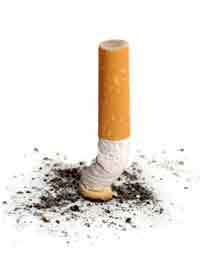 If you smoke, chances are very good that you want to quit. You have probably also learned that quitting a nicotine addiction is very difficult and uncomfortable. Be that as it may, quitting is something that you should, and must, do. So to make the decision a bit easier, it may help to focus on what happens when you quit. For starters, you are going to be far more attractive. You will smell good again, and your clothes, hair, hands, and breath will no longer stink like an ashtray. Nobody likes the smell of smokers, and this includes the smokers themselves. And your teeth will brighten up considerably. In addition to looking better, you are surely going to begin feeling better. That dry smokers hack will disappear, and you may be able to walk without getting winded again. Your lungs will begin repairing themselves, your pulse rate will go down, and your health cannot help but improve. And when you feel better you become much nicer to be around, too. A big bonus is that you will enjoy some of the simplest parts of life once again. You will be able to taste food again, and smell flowers. These things sound corny, but it is true. Enjoying the simple pleasures of life make life worth living. And having people around you, and who enjoy being around you when you are no longer smoking, make this simple fact all the more true. Yes, smoking is deadly indeed, and one of the greatest gifts you can give yourself and every one around you is to quit that filthy, nasty, deadly habit. Your life will improve in ways that you cannot yet imagine. You will be happier, more fun to be around, and far more attractive. The gains to be had far outweigh any discomfort with the process of kicking the habit.